Strange Tales from Ohio History – Hear the true Stories of remarkable people, places, and events in Ohio history. Join the author of the popular offbeat travel guide Ohio Oddities, Neil Zurcher, and enjoy discovering the true wonders of the Buckeye State! 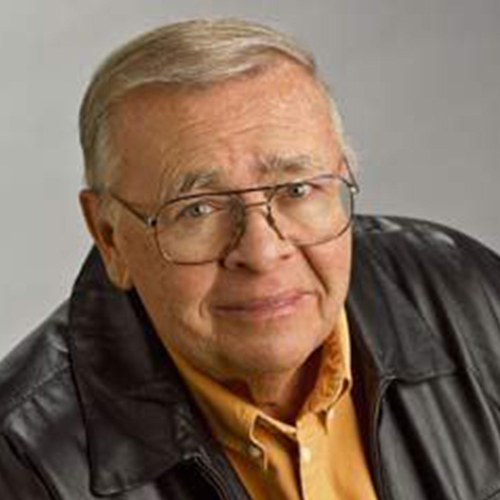 Neil Zurcher was associated with Fox 8 TV in Cleveland for a total of 54 years. He has been a professional journalist working mostly in television, where he covered world leaders and major events, like the asassinataion of President John F. Kennedy. He also worked in newspapers, magazines, and radio. He has logged more than a million miles on Ohio’s roads during 35 years as a TV travel reporter. He was the original host of the “One Tank Trips” travel segment, which aired on Fox8 Television in Cleveland and has since been imitated in other television markets throughout the US. Called “One of the most respected and knowledgeable travel writers in the state” by former Ohio Governor George Voinovich, Zurcher received the Distinguished Service award from the Society of Professional Journalism. He also received an “Emmy” award. In 2013 he was honored by the National Academy of Television Arts and Sciences with a rare Gold Circle Award for his fifty years in television. He was given the coveted Award for Excellence in Broadcasting from the Cleveland Association of Broadcasters. He has been inducted into the Cleveland Press Club Hall of Fame. He was also inducted into the Ohio Broadcasters Hall of Fame and received their “Living Legacy” award in 2007. Zurcher for many years also wrote a column for the Auto Club’s Ohio Motorist Magazine and for the Cleveland Plain Dealer and has written nine books about Ohio, including Ohio Oddities and Strange Tales from Ohio, and his newest book, The Best of One Tank Trips.